As the name suggests, the data element stores any kind of data in the node. 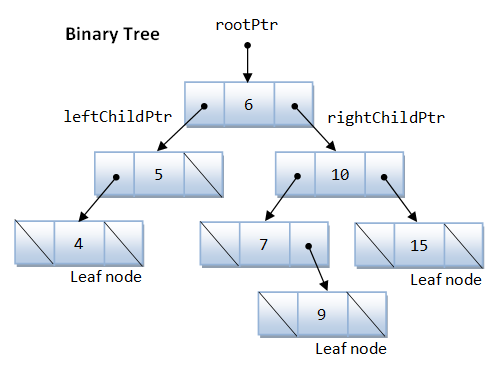 The left and right pointers point to binary trees on the left and right side of the node respectively. If a tree is empty, it is represented by a null pointer. The following image explains the various components of a tree. Ancestor: Node reachable by repeated proceeding from child to parent. In this case, you must explicitly allocate the memory of the node type to the pointer (preferred method). The idea is to do a post-order traversal and maintain two variables to store the left depth and right depth and return max of both the depths.